Salman Khan shared the song on social media and wrote: "Firdaus ka Kabir ke liye pyaar ka elaan"
We were not even over the song Nai Lagda yet and the makers of Notebook shared another melodious track from the film on Thursday. The second song from the film, which is titled Laila, is all about Firdaus' (played by Pranutan) declaration of love for Kabir (Zaheer Iqbal). The song, which has been picturised in Kashmir, has been sung by Dhvani Bhanushali and it has been composed Vishal Mishra. The soulful lyrics are by Abhendra Upadhyay and Vishal Mishra. We bet you won't be able to take your eyes of her in the song. Salman Khan, who has produced the film, shared the song on social media and wrote: "Firdaus ka Kabir ke liye pyaar ka elaan.Laila, second song from Notebook out now." 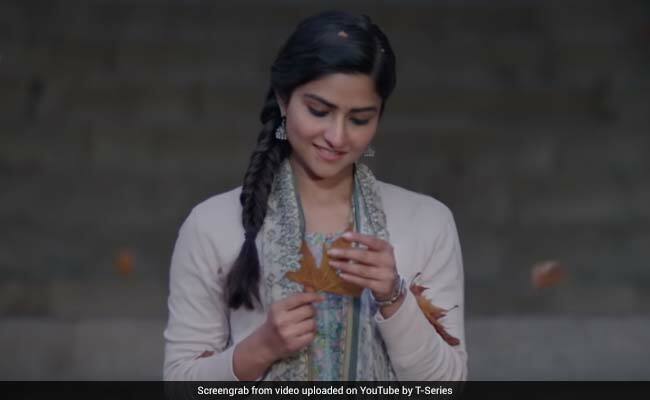 Film's lead actress Pranutan summed up the essence of the song in her Instagram post and wrote: "Tumhari dhun, sirf tumhara fitoor. Kabir, tumse beintehaa mohabbat ki hain aur yeh hain uska elaan." Directed by Nitin Kakkar, Notebook is a film set in Kashmir, which showcases the story of Firdaus and Kabir, who have never met but fall in love with each other. The film is expected to release on March 29.